This residential installation features the Crestron Control System for Whole-House Audio/Video, Security and Home Automation control. This system installation had James Loudspeaker system throughout the home as well as a video distribution matrix swtich to provide video to any TV in the house. 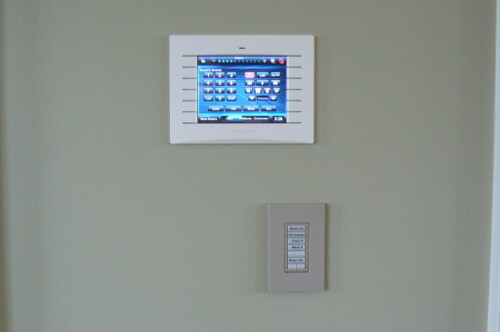 Control methods include in-wall touchscreens as well as hand-held remotes and a smartphone app. The job also included full IT network with hard-wired network drops thoughout the home as well as several Wireless Access Points to provide solid WIFI at all locations. Security for this project inlcuded an extensive burglar and fire alarm system as well as numerous security cameras. 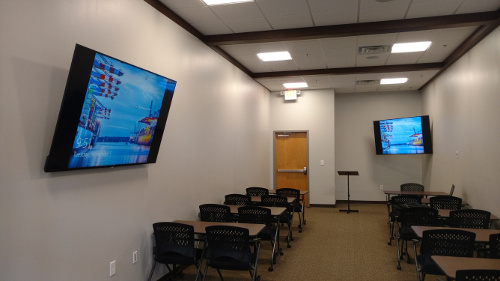 This installation features Audio-Video systems for multiple conference rooms. 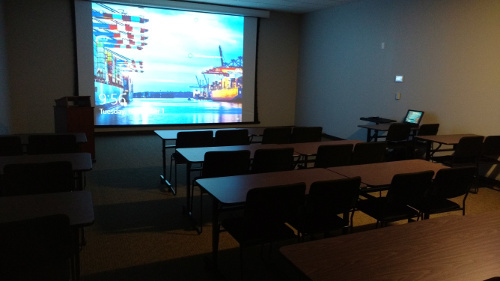 Using both Crestron for the largest room and FSR brand equipment for 2 smaller conference rooms, this system provides ease-of-use for visitors to connect their computers to the large TV's and/or Projection Screen. 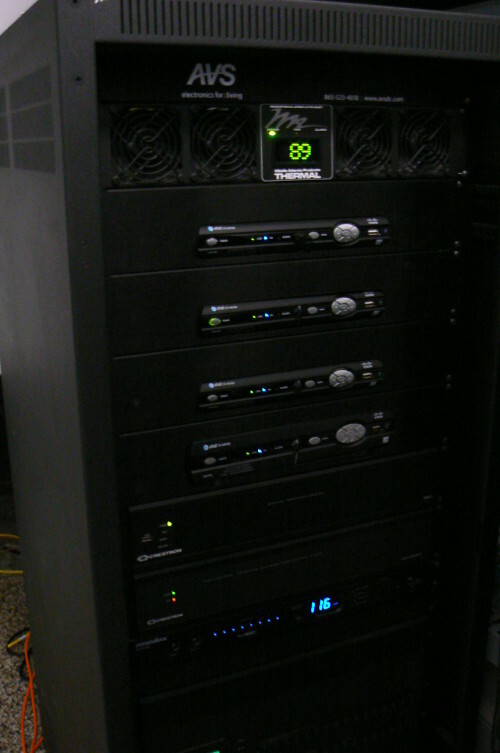 The system also employs several wireless mics and amplifiers and control to allow users to quickly and easily setup the meeting with a minimum of technical work.